What’s on the menu today? 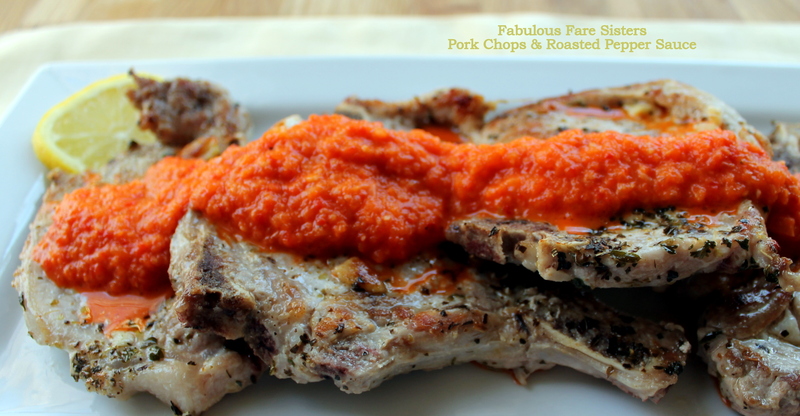 Tasty & juicy Pork Chops topped with a savory roasted red pepper sauce. No need to roast fresh ones if you’ve got a jar of roasted red peppers in the pantry or refrigerator. Sautéed with onions and garlic, blended smooth then scooped on top of your pork chops! Can I say “Yum”? Season the pork chops with 1 tablespoon olive oil, 3 minced garlic cloves, parsley, oregano, basil, 1/4 teaspoon salt & pepper. Heat 1 tablespoon oil in a medium pan. Add the roasted red pepper, onion, 2 minced garlic cloves and remaining 1/4 teaspoon salt. Sauté five minutes until onion is tender. Meanwhile, heat the remaining olive oil in a large skillet. Cook the pork chops 3 minutes on each side (cook longer if you are using thicker pork chops). Add the wine and the chicken broth to the pan with the roasted red peppers. Bring to a boil, reduce heat and simmer until broth evaporates (about 5 minutes). Place the red pepper-onion mixture into a food processor; add butter and the juice of the lemon. Process until smooth. 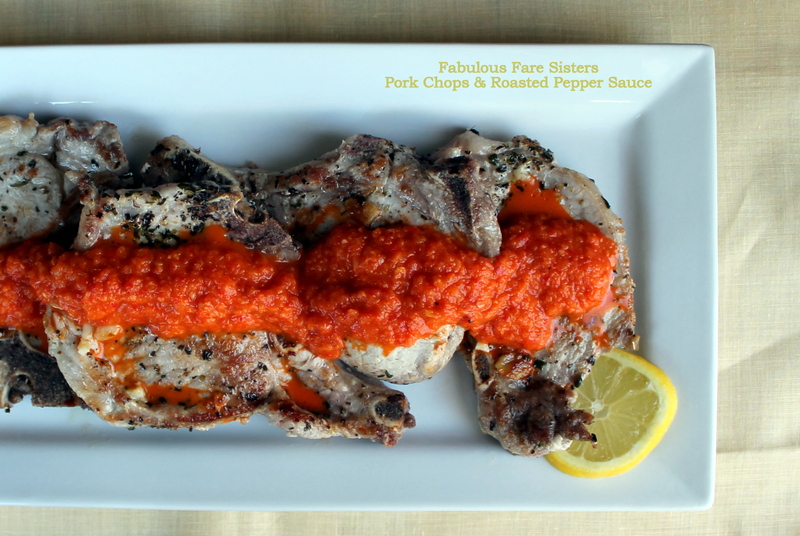 To serve: Place cooked pork chops on platter and top with roasted red pepper sauce. This recipe has been shared at Senior Salon…go check it out and see some other great blogs! I think I’m in love with that roasted pepper sauce 😀 Thank you for sharing at Fiesta Friday!! The recipe looks delicious and the photos make it look even better! What a great idea to jazz up some pork chops, yumm! Roasted red peppers make everything more lovely, don’t they? Such a great depth of flavor and oh so easy when you just crack open a lid and use the store-bought kind. I’m always looking for new ways to jazz up some pork chops and this looks perfect! Your roasted red pepper sauce looks so good! I think I could eat it with a spoon 😛 Lovely dish Linda! I just love everything about this! Pork chops are our favorite. I’m kinda on strike from red meats like beef and pork but the picket lines have been faltering lately…getting weak in the knees from posts like this, ha! You’re really the best, Linda! You take such great pictures for your illustrating your steps. Hope you plan on posting to the Salon today.